Spread some Christmas cheer this year with our finest wine duo, delicious sweets, chocolates, and something to appeal to those savoury cravings. All of these tasty treats will be carefully arranged inside a stunning trunk which can be reused time and time again! 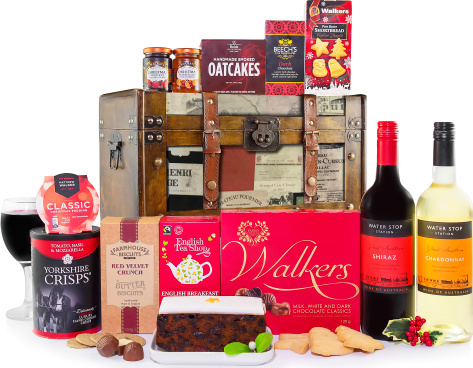 This impressive Christmas gift hamper will make anyone's holiday season that much jollier!